After much anticipation, Canon has announced the 5D Mark III, a successor to the first DSLR that brought 1080P video recording, the 5D Mark II. While Canon will not be killing off the 5D Mark II any time soon, the Mark III serves as an updated replacement that comes closer to the performance of the soon to be released 1D-X. 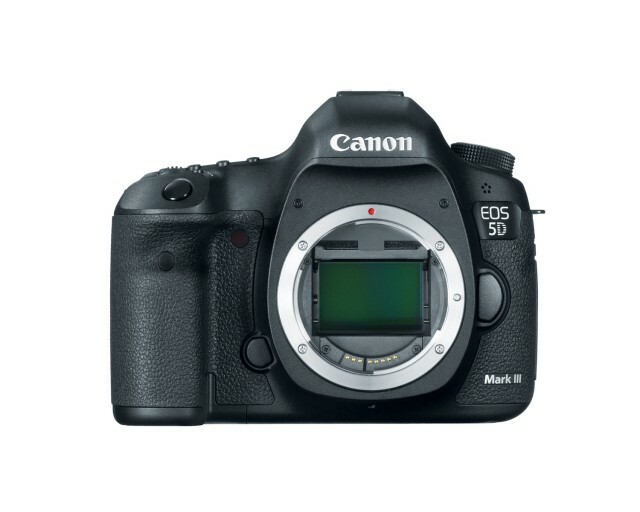 Canon will continue to sell the 5D Mark II for the time being with a price drop in the coming weeks. The 5D Mark III features a new 22.3 MP sensor that boasts 2 stops better noise performance compared to its predecessor, larger ISO range from 50 to 102,400 (100 to 25,600, natively), DIG!C 5+ processor, 61 point AF system with 45 cross-type AF points, dual memory slots (CompactFlash and SD), 100% optical viewfinder, and a 6FPS burst rate. Just like it’s predecessor, the 5D Mark III includes a killer video mode that can capture 1080p at 24/25/30 or 720p at 50/60 in H.264. Canon has included a headphone jack on the side of the camera for monitoring audio during video recording and on top of that, they’ve ditched the AGC and opted for a full manual audio control with the new touch sensitive control dial. Canon has also improved moire reduction and upped the maximum recording time from 12 minutes to 29 minutes and 59 seconds. Along with the 5D Mark III, Canon also announced the Canon Speedlite 600EX-RT Flash, Canon BG-E11 Battery Grip for Canon EOS 5D Mark III, Canon GP-E2 GPS Receiver for Canon EOS 5D Mark III, Canon Speedlite Transmitter A, and the Canon Wireless File Transmitter for Canon EOS 5D Mark III. 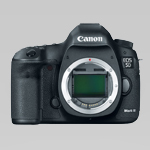 The 5D Mark III is available for preorder on Amazon & B&H for $3500 and will start shipping in late March 2012. Canon U.S.A., Inc., is a leading provider of consumer, business-to-business, and industrial digital imaging solutions. With $45.6 billion in global revenue, its parent company, Canon Inc. (NYSE:CAJ), ranks third overall in patent holdings in the U.S. in 2011†, and is one of Fortune Magazine’s World’s Most Admired Companies in 2011. Canon U.S.A. is committed to the highest levels of customer satisfaction and loyalty, providing 100 percent U.S.-based consumer service and support for all of the products it distributes. Canon U.S.A. is dedicated to its Kyosei philosophy of social and environmental responsibility. To keep apprised of the latest news from Canon U.S.A., sign up for the Company’s RSS news feed by visiting www.usa.canon.com/rss. es a firmware upgrade to be compatible with the GPS Receiver GP-E2, which will be available soon.